There are hundreds of thousands of apps floating around the internet. One of the best ways to find them is to either be informed by another user you have in your network of connections, read about them in the news or blogs, or check out the latest in the Google App Store. However, not every app is useful, and there are many versions of each app, and each has a specific set of requirements and preferences for the functionality of their apps. This is why we look at both reviews and top of the list downloads when combined these two key performance indicators (KPI’s) provide you with a clear and concise picture of the overall value the app has on the market. 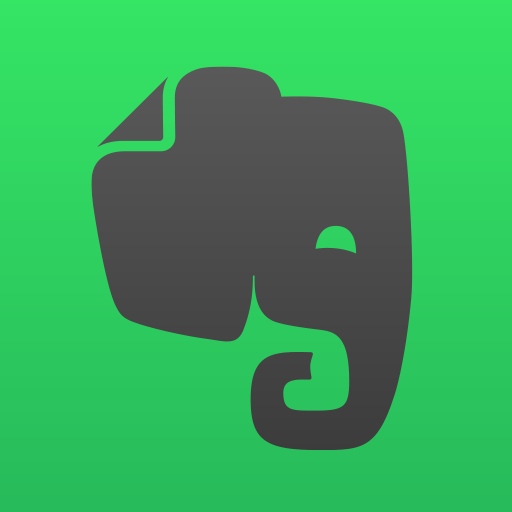 In this article, we reviewed online sources and came up with this list of the top 100 apps for July 2018. Google Podcasts is the latest addition to the house of Google, and it is a great podcasting centralizer. You get to keep all your favorite podcasts in one place, and since this is Google, you also get to take advantage of the Google IoT. This is a neat little app for safe driving. It’s aimed for the smartphone addicts that are either lazy or forgetful with their phones in the car. This app automatically what it does is sets your smartphone to Do Not Disturb, which silences your notifications until you exit the vehicle. 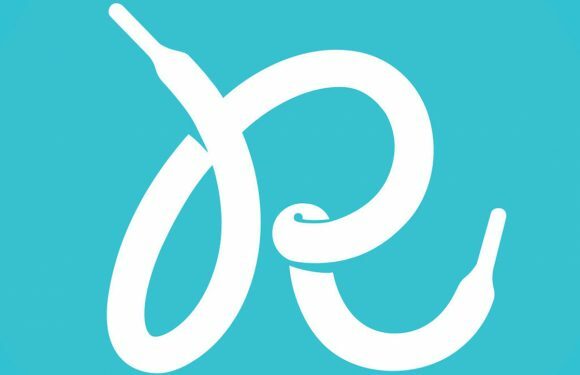 For any pet lover and dog owner that wants to make sure their companion is scheduled properly, Rundogo is the app for you. This cute little app is a built-in dog activity scheduler. Just remember to input the schedule at the same time you prepare yours, and it will sync with your schedule, so you are prepared to walk, feed, play and visit the vet. This is Instagram’s latest addition to video sharing. IGTV is a method to watch long-form vertical. As with all Instagram accounts, this will enable every user to upload their IGTV content. This is Adobe’s profile artwork app. It’ designed to make your photo edits cleaner, crisper and easier to edit before uploading. The main features include pick a photo, add some text, apply Design Filters, and upload. This is a great addition to any social media account. No one contests Netflix place in the movie world, it is now a movie empire and has a great streaming solution. A basic Netflix account will cost you around $8.00 a month, and you get access to all of Netflix’s movies and TV shows online. Hulu is a Netflix competitor, and its app also offers thousands of Movies and TV show, of which most are updated as they are aired. Hulu has various subscription models, including their $8.00 starter which includes midstream ads. It’s funny that I need to introduce YouTube, but heck, this is a review of the best apps, and YouTube is still the best short clip video and music app online. Even if you can get full stream movies here too and it’s all free. All HBO subscribers now have access to the online HBO Now standalone service for $15/month, and HBO Go streaming app on smartphones. If its music you like, and you want the latest and best services with all the tweaks and features, then nothing beats Spotify. It is still the world’s No.1 music streaming app. You can follow your artists, tracks, albums and make up your categorized lists. This is the app for free subscribers to all online music. This means you get to access off the lists music. Just remember that this is not a competitor to Spotify. Bandcamp’s mobile app is streaming and sharing music app for bands and followers. If your band is on Bandcamp, you can listen and share their music online. This is a very simple to use and great music streaming and sharing app. This is Google’s official streaming service and is Spotify’s main competitor. This app allows you to upload up to 50,000 songs for online storage as well as access all the online music you can hope for. Since this is a Google app, it means you can IoT it too. Yup, Apple music is also on Android, and it is also a Spotify competitor. If you have a Mac or iPad as well as your Android smartphone, then this app is the one to download onto them. You get access to Apple’s impressive library of music, as well as Apple’s Beats 1 radio station, that plays current hits and previews of up-and-coming music. The NYT, New York Times is a global new brand that offers up to date news and views on every subject and item. This is the gonzo news service, where you get VICE. This service offers access to their large library of written and video content. The app also gives you the estimated reading time per article. The National Public Radio app that provides a constant stream of conventional reporting in audio and print. Listeners can also tune into various programs such as All Things Considered and Radiolab. The Washington Post (WP) is the NYT’s main competitor for up to date news and views. This is a great news app to tune into, and if you want full content, then you need to subscribe. This is the leading curated news service online, and Flipboard gives you a beautiful GUI as well. Flipboard updates its stories 24/7, so you can flip to find whatever you’d like to read. Nwsty creates 6-10 headlines for you to digest, and this is a great way to catch up on the news. Rather than sort through loads of updates and views, you get to look at the main items that are important and being transmitted online. theScore is a great app that delivers all the latest results. This is a no-nonsense app for the sports lovers that want results as and when they happen. There isn’t much to add about ESPN, its ESPN, ‘nuff said.. If you want the latest sports results, news, and reviews, then tune into the app, CBS covers it all. It’s a competitor to ESPN, but isn’t ESPN. What you do get is access to all CBS quality items. If you have enough of real-time sports, then try out a Yahoo Fantasy league and join in on the fun. You can create your team and play it online. Get all the updates from other leagues too. Instagram is a Facebook-owned app that is synonymous with photography. This is one of the leading photo library apps that also provides income to the more lucrative users with over 5K followers. Twitter’s is the one sentence (or two) micro-blog spit it out and let the world sort it out kind of platform. It’s so popular that even world leaders now tweet threats over it, with Trump being the main initiator. Pinterest is a graphics platform where you share ideas and opinions and online data through “pins” which are photos and infographics. The app allows you to pin and repin posts as well as share and save boards and ideas. This was one of the first VoIP systems developed and was bought out by Microsoft. It now boasts around 250 million users, and it provides free over WIFI VoIP calls. This is Facebooks messenger service, ti as once part of Facebook but now is a standalone service. If you have a Facebook account, you can use messenger as much as you want. This is a hybrid texting and VoIP messenger service. You can use it to text, send photos and video clips or make a phone call over any WIFI connection for free. After a year’s use, you will have to find $1 to pay for this service. Snapchat is the shelf-life version of Instagram, where you share photos that expire. This is a great service for people that are worried their photos will come back to haunt them in five years’ time. You can also use filters, decals, and effects to enhance your photos and videos. Facebook Messenger Kids is a parental control platform that allows parents to follow the kids chatting history. All data is saved, and messages cannot be deleted. This gives parents control over all the data flow. Kids get a great chatting platform with kid-appropriate stickers, GIFs, emojis, and more. Tinder is one of the best dating apps there are. This is a location-centric service, and it’s as easy as swiping the screen to hopefully meet your next great date online. OkCupid is an online leader and is one of the biggest dating apps you will find. This makes it appropriate for successfully finding your next relationship. If it’s true love and long-term relationships you seek, then Coffee Meets Bagel is the app for you. In this app, you preset your criteria and get prospective matches which you can accept or remove. Happn is an unusual dating app; it links you with people that you have met in life and didn’t consider as single or appropriate to start with. This app breaks those boundaries and lets you consider breaking the ice together. You don’t need to buy a Kindle device, all you need to do is download this app, and you get immediate access to over 900,000 books from the Kindle library and Amazon store. Comixology’s free app opens you up to a world of over 40,000 comic titles, including Marvel and DC comics. This is currently the biggest and best comic book reader out there right now. This is a great multi-purpose app that was designed to pen comics but now opens much more, including PDF’s, ebooks, and images. You can also link it to Google Drive, DropBox, or OneDrive to access your library. Medium is a very simple blogging platform and has a lot of professional writers online. This attracts more readers and quality content. Well worth downloading for valuable sourcing information. The Tumblr app is designed so you can share anything from anywhere. Tumblr lets you post all your content to multiple blogs, save drafts, schedule posts, and join the online discussion. If you have a WP account and use WP as your blog platform, then this app will make your life easier and give you access to your dashboard from your smartphone. An all-around useful WordPress app. Blogger is one of the longest-running and popular blogging platforms around. This app will let you compose, edit, and post directly to your blog. You can also easily swap between multiple blogs if you have more than one. This is the largest online game community, and from Steam, you can access your online account, go to the Steam store and buy new games. The PlayStation app is designed so you can access your PlayStation Network (PSN) account and use it to contact and chat with your network of friends, make online purchases and schedule downloads. Microsoft’s Smartglass app integrates your Xbox Live account and console into your phone. This will enable you to access all the online offers, and get a hold of second-screen features such as maps and bonus content. Twitch’s Android app lets you watch all streamers as well as past broadcasts, and you can also browse through their list of online streams and Dota 2 matches as well as the tense speed-running marathons. This is the gaming version of theScore major league sports counterpart. theScore eSports will provide you with all the breaking news items, live scoring, and live streams for all eSports titles including Dota 2, League of Legend, Hearthstone, Counter-Strike, and more. You can set your location, the type of food you want, and your budget to find suitable local restaurants. There’s also a handy shake feature to get a random suggestion if you just can’t decide. 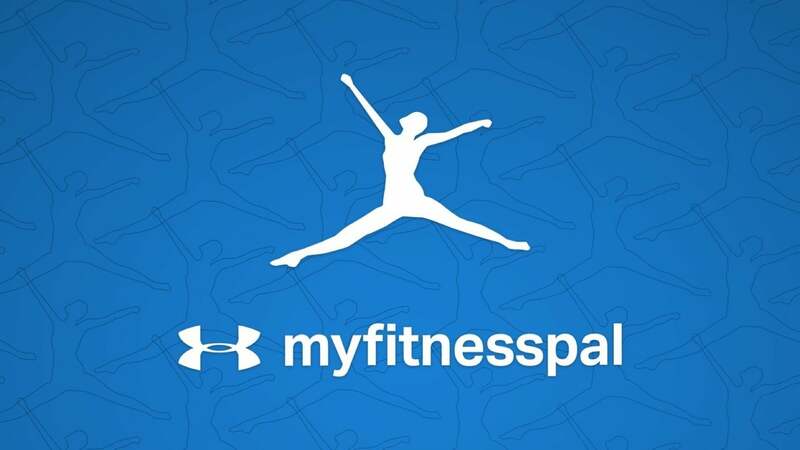 If you want to lose weight and get in shape, then you need to start counting those calories, and this app, from MyFitnessPal, is an easy, accessible, and completely free way to do it. 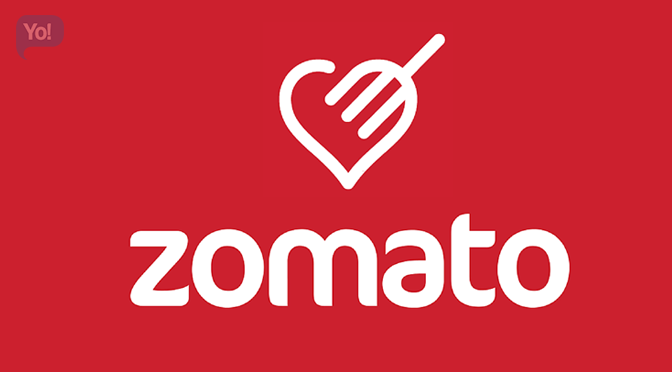 Browse over one million different recipes to find exactly the meal you’re craving. You can even set dietary preferences, so the recipes you see fit to your lifestyle or restrictions. Once you find a recipe, you can add all the ingredients to a shopping list. Find thousands of recipes from your favorite food network chefs and personalities, including recipes featured on their TV shows and specials. How-to videos and shopping list features will equip you with everything you need to make a great meal. Tracking your macros is an important aspect of fitness. Whether you’re trying to lose weight, gain mass, or maintain your body composition, eating the right balance of protein, fats, and carbs are key. Macro tracker lets you set your preferred macro ratio, and track the foods you’ve eaten. Runtastic is a smartphone staple, with a simple interface that doesn’t sacrifice advanced features. The no-frills app uses your smartphone’s sensors to track metrics, such as your distance and relative pace, as well as calories burned and your heart rate. A few extra features, such as 3D mapping and a workout diary, only complement the app’s wearable integration. Strava is an excellent tracking app that monitors your runs or cycling routes via GPS. It gamifies your cardio workout and pairs with leaderboards, achievements, and challenges, bringing a competitive spirit to your routine. It also has Android Wear support. Yoga is unbelievably powerful. It strengthens your core, increases flexibility and focus, and decreases stress. Plus, it can help you lose weight and stay healthy. This app will guide you through daily yoga routines of varying difficulty and length, and step-by-step, HD videos showing exactly how to do each pose. Turn your phone into a personal trainer and track your runs via GPS. You can get detailed stats on your workouts, listen to music, get audio cues to spur you on, and share your progress. Headspace is a meditation app created by an ex-Buddhist monk and TED Talk alum Andy Puddicombe. Users can choose between lesson packs centered around various goals such as focus, health, creativity, and advanced meditation techniques. The app requires a subscription but offers a free 10-day guided lesson pack to get you started. Anyone looking to learn a language should start here because it’s fun and accessible to all ages. It has free courses for Spanish, French, German, Portuguese, Italian, English, and more. With science-based coaching as its backbone, Fabulous – Motivate Me! Will help instill healthy, positive habits and routines into your life — everything from better sleep, sticking to a morning routine, finding time for creativity, daily meditation, losing weight, and more. Mint is our favorite money management website, but it also has a kickass app. Mint can keep track of multiple bank accounts or credit cards to help you stay on budget and out of the red. Looking to save a little more money? Acorns help you invest by rounding off your credit card or debit purchases to the nearest dollar. Once you’re accumulated a little money, it’s easy to transfer the funds to your bank account. Venmo allows users to send money for free. The transactions can be sent to any bank and occur overnight. This makes paying back your friends simple and quick. Create your “Cashtag,” and you can receive payments for just about anything. Square Cash lets you quickly transfer money between other users for free, using a passcode of your choosing and 128-bit encryption as an added security measure. Mobile payments are slowly becoming commonplace, and Google Pay is Google’s latest attempt at a mobile payment app. 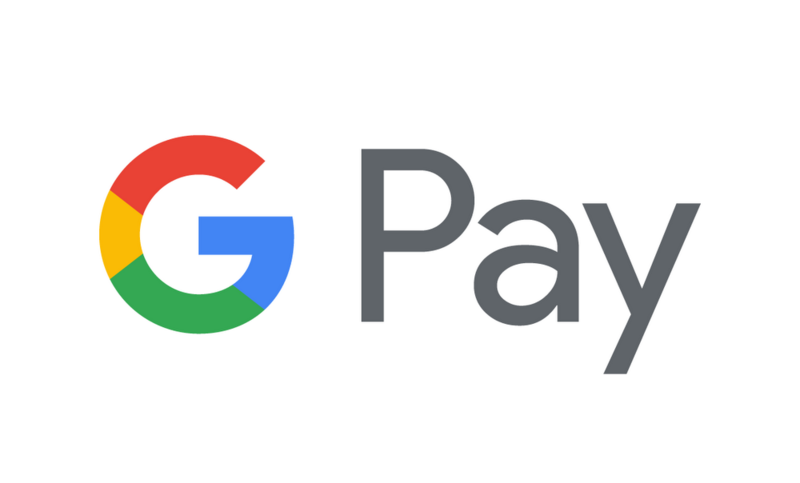 Using Google Pay, you can purchase items at any NFC-capable payment terminal, provided you’re in a country that supports Google Pay and have previously set it up on your NFC-capable phone. Depop’s ultra-minimal, online marketplace takes little more than a photo to get started. Once captured, share it on Facebook, Instagram, or Twitter before striking a secure deal with a host of potential buyers via the built-in chat function. There’s very little that you can’t buy or sell on eBay. The app is full-featured and much easier to use than the website. Bid on items, track your orders and sell all of your unwanted stuff right here. While the selection on Amazon Prime Now may not be a good as what you find on Amazon, the upshot is free delivery within two hours. If you’re in a real time crunch, some products and locations offer one-hour delivery available for a small fee. With Amazon’s recent acquisition of Whole Foods, Amazon Prime Now even offers a decent selection of groceries. The easiest online checkout method right on your smartphone. You’ll be able to manage your PayPal account, send and receive payments, and more. The app can also notify you of transactions, offering handy reminders and alerts when you use PayPal as a payment method or have an upcoming bill due. You’re never lost with Google Maps. Get voice-guided navigation for trips, different instructions for driving, walking, cycling, or taking public transport, and search for anything you need. If you need to get somewhere and don’t have wheels of your own, hop in someone else’s ride. Uber allows you to call upon a private driver in your city who will help you get to where you need to go. Lyft is another private cab service, helping find a, well, lift whenever you need one. You’ll be able to hail a cab and pay directly in the app and can even split the tab with a friend easily. Forego the headache of trying to find and book a hotel, and instead find an open room or home to stay at on your travels. Users can search for accommodations, communicate directly with hosts, and book all through the app. 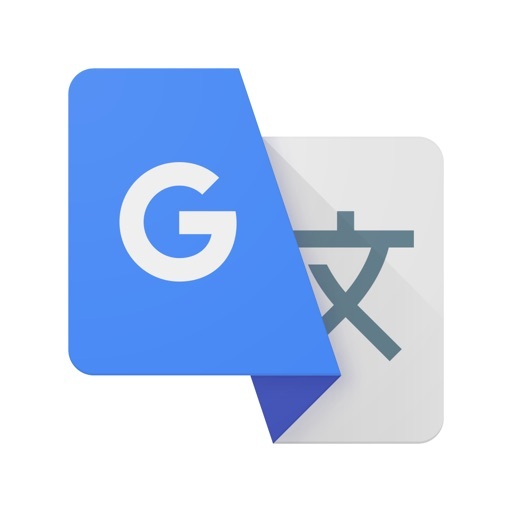 Translate speech or text between more than 70 languages with this app. It can act as your interpreter, enabling you to decipher signs and menus and enable two-way conversations. Craving a decent microbrew, a breakfast burrito, or a good latte? Yelp will help you scratch that itch. It’s packed with user reviews, directions, and tips for almost every place around. Buy and sell tickets to virtually any event. StubHub protects its users with it’s “FanProtect Guarantee,” meaning you can buy and sell tickets on their app without risk. A streamlined glance at your local theater listings with trailers and reviews of all the top releases, this app can also work as a mobile ticket at participating cinemas. You can buy tickets, too. If the title of the app wasn’t clear enough, this is a robust tool to help you find local businesses, venues, and restaurants, browse menus, and even book tables or nab tickets so you can plan your next evening out with ease. With over 60 million quick reviews of the best (and worst) places to eat, drink, and more in any city all over the world, you’ll know exactly where to go — and where to avoid — while you’re out and about. This comprehensive package includes malware protection, privacy advice, anti-virus scanning, filtering to block nuisance calls, and anti-theft tools. There’s even a firewall for rooted devices. Google’s Files Go an all-around excellent utility app that allows you to find files quickly and free up space on your phone. You can also easily exchange files with other people close by with Files Go, similarly to Apple’s AirDrop. While there are other similar Android apps on the market, Files Go is less cluttered and not bogged down with ads. Google’s official phone tracking service helps you locate your phone, remotely erase its data, and reset the screen lock PIN, and it works with any device associated with your Google account. You’ll never curse auto-correct again with the intelligent SwiftKey Keyboard. It’s packed with options, it learns your style, and it offers sensible suggestions and corrections that will speed your typing. Lightroom, a program built upon Photoshop, is a powerful photo editing tool for photographers. The mobile app takes the features of the desktop application and puts them on your Android device. While not as powerful or extensive as the desktop version, Adobe Photoshop Express still offers an impressively wide array of tools for editing and creating images directly on your Android device. 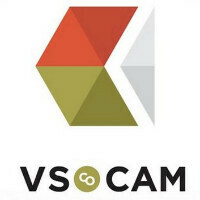 VSCO Camera has become one of the most popular photography apps, thanks in part to its powerful editing features that include impressive present lens settings, post-shot tweaks, and before-and-after comparison shots. The official app for one of the most procrastination-friendly sites on the internet. Browse through near-endless GIFs and images from almost any topic you can imagine. A centralized location for all your photos. 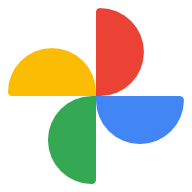 Google Photos will automatically backup your photo libraries on your phone to your Google Drive, saving them in a special folder that only you can access. This app is the most downloaded app of the store, and for a good reason. It’s the most robust and fully featured Office solution for Android. Create word documents, PDFs, powerpoint presentations, spreadsheets, and more. If you’re a Gmail user and Google loyalist, Google’s Inbox app is a must download. It rethinks the inbox entirely, encouraging you to eliminate clutter, make it easier to stay organized and get more done. The natural choice for anyone invested in Google’s apps and services, the streamlined Google Drive app lets you store up to 15GB of files and access them wherever and whenever you need to. Maybe Google Drive isn’t for you. You might already be an avid Dropbox user, for example, and not interested in making the switch to a new ecosystem. If that’s the case, Dropbox’s official mobile app is the way to go. Using the app, you’ll be able to access all your files, and you’ll get 2GB of space for free. Here’s an elegant solution for all your note-taking needs, from simple to-do lists to voice reminders, to notes with supporting photos. Tag, sync, and organize for a real productivity boost. Combined with Google Drive, this is an excellent choice for collaboration, especially given how feature-rich the mobile and web apps are. Once you create a document, you can add people to it, so that they can collaborate. Once they accept the invitation, you can create a multitude of documents — similar to what you can do with Microsoft Office — and have your team collaborate in real time. Want to keep your internet activities on the down low, or simply don’t like the idea that the government could be spying on your every move? One of the best Android VPN apps is a great way to prevent that. ExpressVPN offers both a virtual private network and some advanced features — such as the ability to connect to servers in more than 100 locations around the world. Adobe Scan eliminates the need for you to have a dedicated scanner in your home or office — simply take a photo of the document, and the app will crop it and make it look like a scanned document. Box recently launched revamped web and Windows apps to better tackle online collaboration. Box takes things a step further by offering an overhauled web app that you can access through any browser by logging into box.com. This app doesn’t bring Google Assistant to your phone if you don’t have it, but it does allow for a much easier way to access Assistant — by adding a shortcut to your home screen. If squeezing the edge, long-pressing the home button, or using a dedicated key isn’t your style, you can add the shortcut to your home screen easily thanks to this app. CloudCal offers one of the unique ways of showing you how busy you are on any given day. The Android exclusive use a system it calls Magic Circles, which turns the days of the month into clock faces and shows different colored circles, or segments of a circle. We also like that you can attach photos, audio files, and Dropbox files to specific events. Ian Kano is a Supply Chain Engineer that loves to research and write about all things. His penchant for writing started over 40 years ago, and he has a number of blogs, sites and apps that he supports with daily input, either as a reviewer of products, a copywriter, a website optimizer or a purchasing sourcing negotiator. You can check out some of his online activity through his twitter account, or via linkedin. How to Find the Right VPN for Your Needs? Is there a Spy in your PC? Looking for an In-Home Moving Estimate?